Curled mallow is used in Korea as an ingredient in baby food (jook). To prepare the mallow for jook (rice porridge) you remove the leaves from the stems, wash the leaves, boil them for about 2-3 minutes, then chop them finely. You then add the finely chopped leaves to the jook like you would any other vegetable. You can also make a green smoothie for yourself or toddler by throwing a handlful of mallow leaves into your favorite smoothie recipe. Thank you for sharing this info. 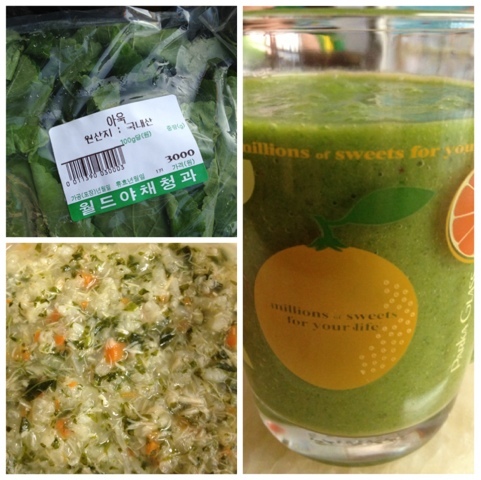 I bought the leaves at a Korean grocery store in Toronto. They reminded me of spinach .